I am in the JFK airport in New York City with Mary Beth waiting for our flight to London. It's been a long day already - up at 5:00 am and then a drive to Portland, bus to Boston, flight to JFK and a six hour layover before flying to London. We'll be ready for sleep once we get to England for sure. Last night I got an email from a writer from Australia who had interviewed me last fall. She was working on an article about space for The New Yorker magazine. In her email she gave me the link to her article that is in this week's edition of the popular publication and told me she's writing another piece that will be published later in the year which will likely carry some of our interview. I read the current article and it is an excellent piece of writing. It's entitled: Elon Musk and the Failure of Our Imagination in Space - Musk and his fellow- “astropreneurs” have tapped into our idealism about space travel. But to what end? The piece talks about the new rich space honchos who are pushing the privatization and colonization of space. This has been an area of interest of mine for many years. I've written and spoken about it often, and it will be the subject of my talk at our annual Global Network conference in Oxford on June 22-24. After I make the speech I'll be sure to post it here on the blog. I was thrilled to read Dovey's article because few writers are interested in the subject or dare to go there - likely fearing they will offend the powerful fat cats pushing space privatization. So you really must read this article in The New Yorker and watch for her next one. 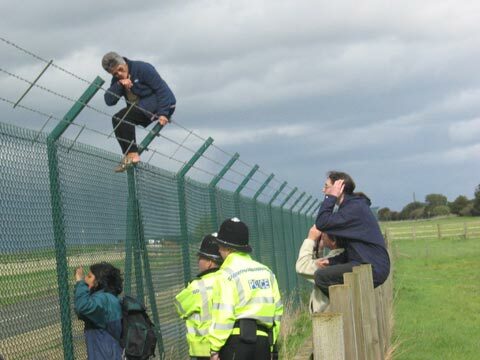 Peaceniks jumping the fence at the expanding US/NATO military space communications and control base at Croughton. As part of the Global Network conference in Oxford we will take a side trip to the base for a protest on Sunday, June 24. We accepted the invitation to hold our 26th annual Global Network space organizing conference in Oxford, England (June 22-24) due to the growing importance of the base at Croughton. It handles a huge portion of US military communications in Europe, North Africa and the Middle East and is used to route vast amounts of data captured by Washington’s network of listening posts in diplomatic premises back to America for analysis by the CIA and the NSA. 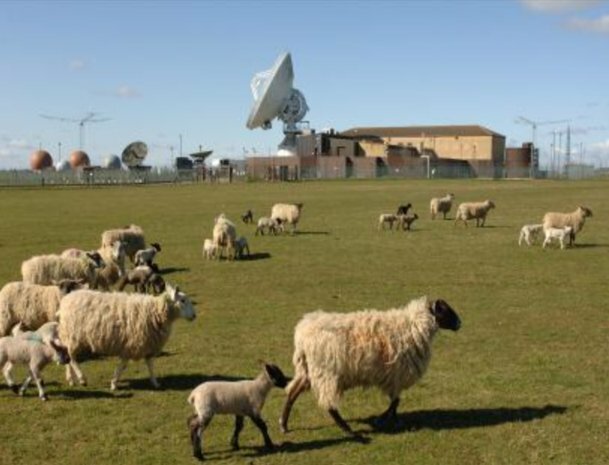 A secure fibre optic link between Croughton and the US air base at Camp Lemonnier in Djibouti helps to co-ordinate drone strikes over Yemen. The US is now spending over £200 million to transform the base into one of its largest intelligence hubs outside the US to become a new centre for counter terrorism operations in Africa. Over the years I've been to Croughton twice and have seen the dramatic expansion of the base with my own eyes. 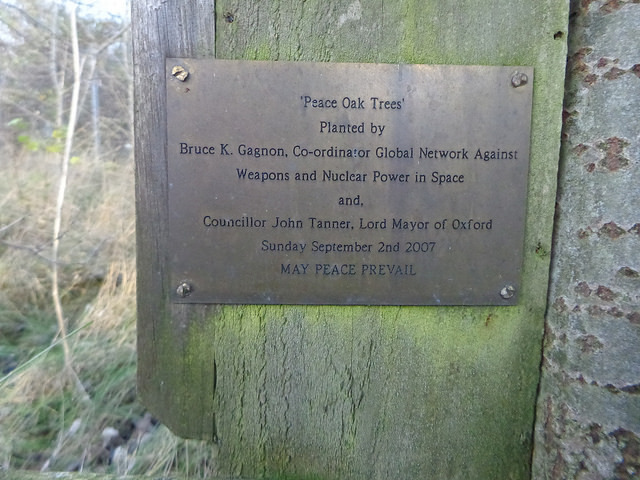 The first time I went there I was asked to plant two trees along with the Lord Mayor of Oxford. A placque was placed there and the last time I visited the base we got a photo of it. The non-violent resistance to US space technology war bases around the world is often unseen and under-reported. Most of the groups work in relative obscurity as they try to educate their local communities about the mission of these offensive installations. The role of the Global Network is to draw people together, share information with one another, and help shine a light on what has otherwise been dark for far too long. Each year we hold our annual meeting in a different country and bring many of our members to meet the dedicated local activists who keep working year in and year out. I am proud that the collective leadership of the GN has stayed on the case for 26 years. We don't have much money but we are determined and have that special ingredient called stick-to-it-iv-ness that is necessary for any long-term struggle. Gotta give Trump his due on this one - he is correct that US war games on the Korean peninsula are very expensive and provocative. The man is unpredictable that is for sure. Interesting to watch the Democrats (the so-called liberals) and the mainstream media in Washington having a conniption fit over Trump's move to end the formal Korean war and to negotiate with North Korea's Kim Jong-un. The Dems are showing their true colors now - as the other wing of the US's endless war party. I saw yesterday that the Dems are working on a bill to 'not allow' Trump to withdraw any US troops from South Korea. Hang on folks - it's going to be a wild ride. After Tuesday’s summit in Singapore, Trump called the Korean War “an extremely bloody conflict” and expressed hope that the war would soon formally end. Listen to "World Cheers for Steps Toward Korea Peace But U.S. Media Outraged" on Spreaker. On today's episode of Loud & Clear, John Kiriakou and Walter Smolarek are joined by Hyun Lee, a member of the Solidarity Committee for Democracy and Peace in Korea and writer for Zoominkorea.org, and from Singapore by Brian Becker. 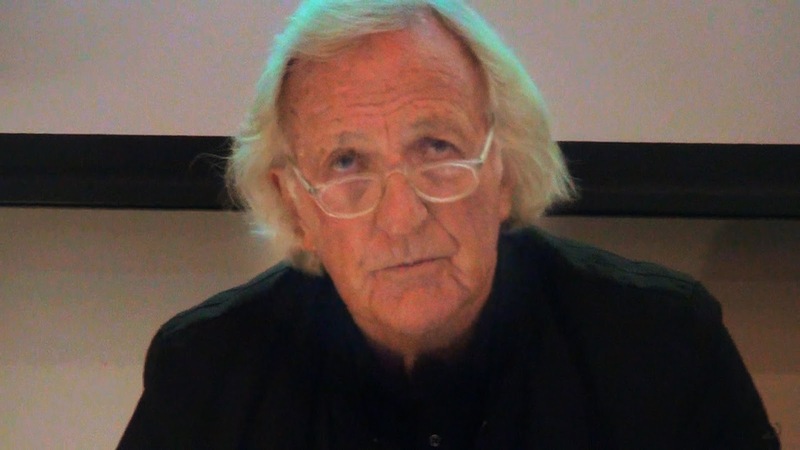 Unable to attend the upcoming Global Network conference in Oxford, England the award-winning journalist John Pilger sent his solidarity greetings. Pilger's most recent film 'The Coming War on China' can be seen here. You can get more information about the conference on June 22-24 in Oxford here. 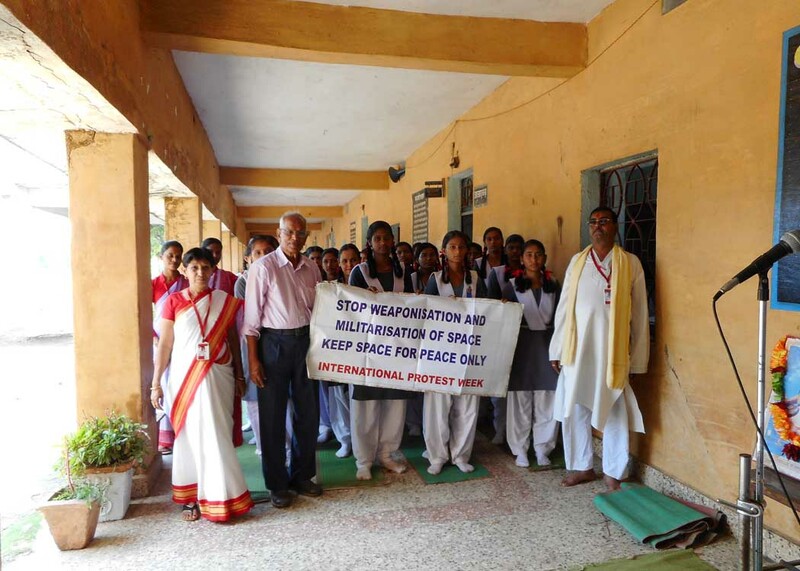 'There is a willingness throughout the world to rid space of weapons, especially the prospect of nuclear weapons. Countries, great and small, don't want them - with one exception: the United States. In 1967, the US signed a treaty with the Soviet Union and the UK to ban nuclear weapons in space, yet has continued to develop a messianic concept of "full spectrum dominance" that includes the heavens under American control. The dangers of this have never been more evident than they are today, as Washington obsesses with maintaining its reputation as the world's ubiquitous tough guy. The thousand military bases the US has built around the world are engaged in planning future wars - from Pine Gap in Australia to the spy base at Croughton near Oxford. It is our responsibility to alert the world to the urgency of these issues - before small wars lead to world wars, and nuclear war. The enduring activism of the Global Network Against Weapons & Nuclear Power in Space has never been more vital in the struggle for peace. During the past few weeks I've been preparing for our Global Network annual conference that this year (our 26th) will be held in Oxford, England on June 22-24. There are always a million small details that need to be checked off my list. Thankfully our hosts the Oxfordshire Peace Campaign, GN board member Lindis Percy, and our organization's board convener Dave Webb (who also serves as the chair of the UK's Campaign for Nuclear Disarmament) are doing most of the heavy lifting. Most of our board members have been with the organization a long time. In various countries around the world the Pentagon has established downlink receiving stations and radars that work with military satellites which guide and direct all of their war making operations. The pirates of old have graduated to space technology and are sitting on the buried taxpayers treasure chest that will pay for all this expensive Star Wars in the making. Groups from England, Sweden, Australia, Japan, South Korea, Norway, Diego Garcia, Hawaii, New Zealand, and throughout the US have long been engaged in educating the public about the role a particular Pentagon (US Space Command) high-tech facility in their community plays in the overall design for 'Full Spectrum Dominance'. It's a bit of a specialized field but in a way its clear as a bell and easy to understand. The aerospace industry sees space as a lucrative new market. Have the taxpayers cover the many years of research, development, and testing costs and then once 'ready to use' the process is privatized. So now that the industry sees it can make huge profits by militarizing and colonizing space they are ready to 'take the risks'. In the end the taxpayers get Tang, Velcro, tin foil and a big slice out of their weekly pay check to pay for it. And the industry is coming for Social Security, Medicaid and Medicare next. The spirit of our folks that will meet in Oxford is exciting to experience. They all have a steady eye on the Star Wars project - they see the dangers and the costs - but they are realistic about our immediate chance to impact Washington decision making. The GN's basic strategy from the start has been to help translate this space issue to the public in a meaningful way. We need an expanded consciousness and bigger constituency around the space issue before we can make much headway in the colonial capitals. J. Narayana Rao from India is one of our best leaders. He works hard at spreading the space issue message all over his country and to Nepal, Mauritius, France, Japan, and Vietnam among others. All these nations are sending representatives to Oxford except Nepal. There in Kathmandu our newest affiliate has been denied two years in a row the right to attend a GN annual conference. Last year when we met in Huntsville, Alabama (Redstone Arsenal) our friends in Nepal were denied entry Visas by the US and this year England is doing the same. Nepal has gone commie and must be isolated. Sung-Hee Choi from South Korea is part of the international team in Gangjeong village on Jeju Island, South Korea. She brought the issue of Jeju to the GN long ago and helped lead us into greater understanding and action around the Asia-Pacific region. She will be in Oxford as well. Lindis Percy from North Yorkshire is a dedicated resister of American military bases in England. She's been arrested many times at the US NSA spy base and downlink station called Menwith Hill and at other American bases across her colonized country. 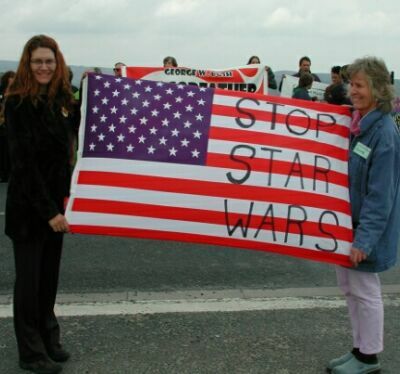 She often holds American flags with anti-base messages painted on them. Lindis came out of the Greenham Common Women's Peace Camp days in the early 1980's when the UK women came on fire in opposition to US nuclear weapons deployments at an Army base. The women set up full-time occupation and eventually due to persistent protests all across Europe the US had to pull their nukes out of England, Italy and Germany. Lynda Williams on the left and Lindis Percy on the right. Retired economics professor Atsushi Fujioka from Kyoto, Japan is a long-time board member. He is very active with protests opposing the recent deployment of a Pentagon 'missile defense' radar in his prefecture. The radar is aimed at China and Russia and would guide a US launch of a 'missile defense shield' to its target after a Pentagon first-strike attack. Dave Webb takes care of the GN's web site and runs our meetings with patience and gentleness. He makes excellent presentations with images to illustrate how the entire US-NATO space warfare technology system all fits together - with Washington at the tip of the spear. Iraq and Afghanistan war veteran Will Griffin will do some filming during the conference and make short videos afterwards sharing the spirit and story of the event. I am lucky to work with such fine and dedicated people. As always it will be good to see them all again. We hope each of you will find some way to help take the money away from the aerospace industry. Growing global poverty and the coming reality of climate change require that we dump the Star Wars plans in the dust bin of history.